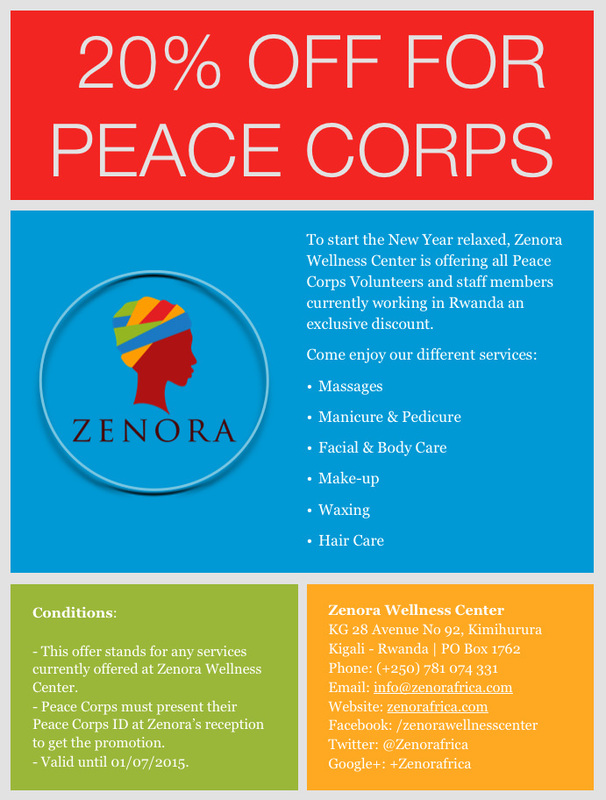 To start the New Year relaxed, Zenora Wellness Center is offering all Peace Corps Volunteers and staff members currently working in Rwanda an exclusive discount. – This offer stands for any services currently offered at Zenora Wellness Center. – Peace Corps must present their Peace Corps ID at Zenora’s reception to get the promotion.